We’re excited to post a couple of new case studies on our site that talk about how two of our great customers use Iterable. Rocksbox is an interactive discovery and shopping service for fashion jewelry. For a monthly subscription fee, members gain access to rent unlimited jewelry from premium designers & brands. 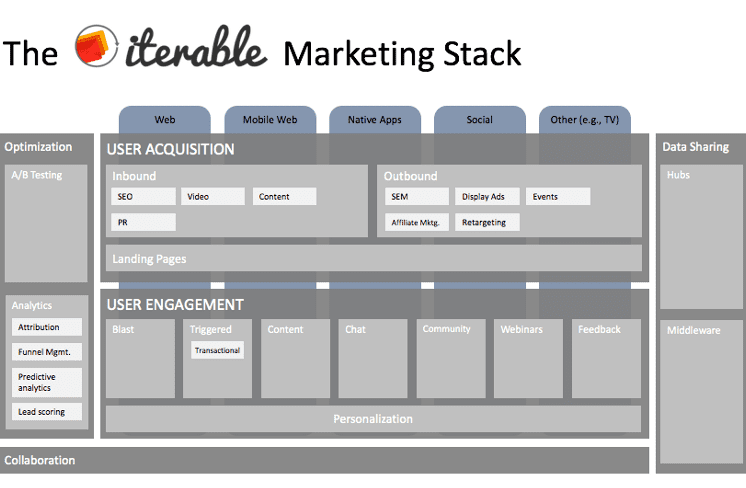 The team at Rocksbox is very focused on growth and customer engagement, and they send 100% of their customer messages via Iterable. 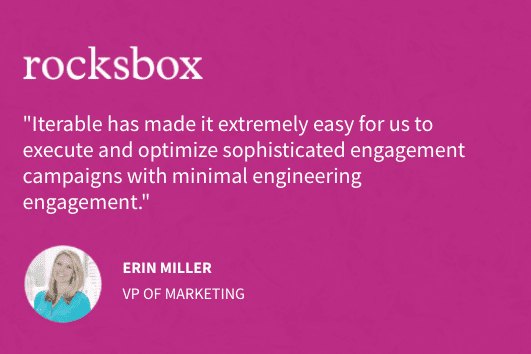 Check out the case study to read more about what Rocksbox has accomplished with Iterable and how they are using our easy-to-use Workflow Studio to maximize customer engagement across channels. IMGE is a digital media consulting firm based in Alexandria, VA that works directly with political candidates on online fundraising and issue advocacy. 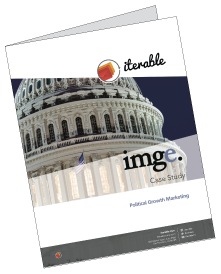 IMGE is at the forefront of political marketing, moving from traditional fundraising to multiple channels online. In fact, IMGE uses Iterable for some very sophisticated fundraising workflows that would not have been possible otherwise. The case study has more details and a workflow deep dive. 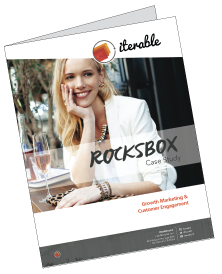 Special thanks to the Rocksbox and IMGE teams for working with us on the case studies, and thanks for using Iterable!